Saalfelden is a city in the Pinzgau area of Salzburg and has a population of 16,000. This makes Saalfelden the biggest city in the region, a fair chunk bigger than the neighbouring county town Zell am See. Saalfelden is situated centrally in the Saalachtal Valley and surrounded by several significant mountain ranges: The Steinernes Meer in the north, the Hochkönig massif in the east and the Leoganger Steinberge in the west. The closest skiing area is the region of Hinterreit, which targets primarily families. Saalfelden has joined Leogang in advertising the "Skicircus" area. In terms of sightseeing, Saalfelden has several smaller attractions to offer. Note the four castles or chateaux of the area: Schloss Dorfheim, Schloss Farmach, Schloss Lichtenberg and Schloss Ritzen. The parish church of Saalfelden is based on a Romanesque building from the Middle Ages, but it was strongly altered repeatedly and became increasingly Gothic. The last major renovation and alteration took place in the late 19th century. The smaller church in Gerling was first mentioned in 1500, then as the heart of an independent parish. It was renovated in 2005. A third church of Saalfelden can be found in Lenzing. It is a modern church by Georg Aigner and was built until 1973. There is also a Lutheran church in Saalfelden; some 30 percent of the population in the area was expelled from Salzburg in 1729, as they were Protestants. The Thorer chapel of Saalfelden was built by a woman to commemorate her emigrated husband. There is also an unusual religious site that is not quite an attraction in the strict sense of the word: Saalfelden has an active hermitage. The first hermit to live there was a Franciscan monk that moved to Saalfelden in 1664. The hermitage is still populated by a single hermit, who is exchanged once every couple of years. On the cultural front, the Nexus art venue is host to Jazz concerts. Until 2004, the Jazzherbst Saalfelden was one of Austria′s finest jazz festivals. After 2004, financial problems of the organisers prevented to continue the 20-year-old tradition. Since 2006, a series of Jazz concerts tries to keep jazz in Saalfelden, at least at a lower rate than before. Historically, Saalfelden was populated since Neolithic times. Celtic people used to mine copper ore in the region; later, Romans arrived and even later Bavarian tribes mixed with the Romano-Celtic people. 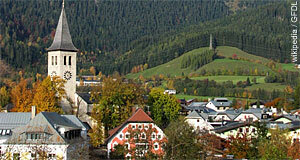 Saalfelden was first mentioned in a written document dating back to the 8th century - very early, even for this region. Back then, it was part of Bavaria. In 1228, Prince Archbishop Eberhard II acquired the Pinzgau for Salzburg, including Saalfelden. Since the 14th century, Saalfelden is a market town. Later centuries saw the shift of trade routes to the Pongau and Lungau areas - to the disadvantage of Saalfelden. The local court of justice lost influence after a similar court was opened in Mittersill. Saalfelden hit the bottom in 1811, when a major fire destroyed much of the town. The recovery progressed slowly, as much of Salzburg fell into a recession after it lost its independence. Only in the late 19th century, Saalfelden finally prospered again - a turning point in its history was 1875, when it was equipped with its own railway link. In 2000, Saalfelden became a city.